Skincare has been my priority since last five years and I am glad I have been getting more and more serious with time while at the same time. I am getting to know my skin better. At one time, I am testing a number of products and I have so many amazing new finds to share with you guys, expect a regular series of posts on skincare products I have been testing since last few months. 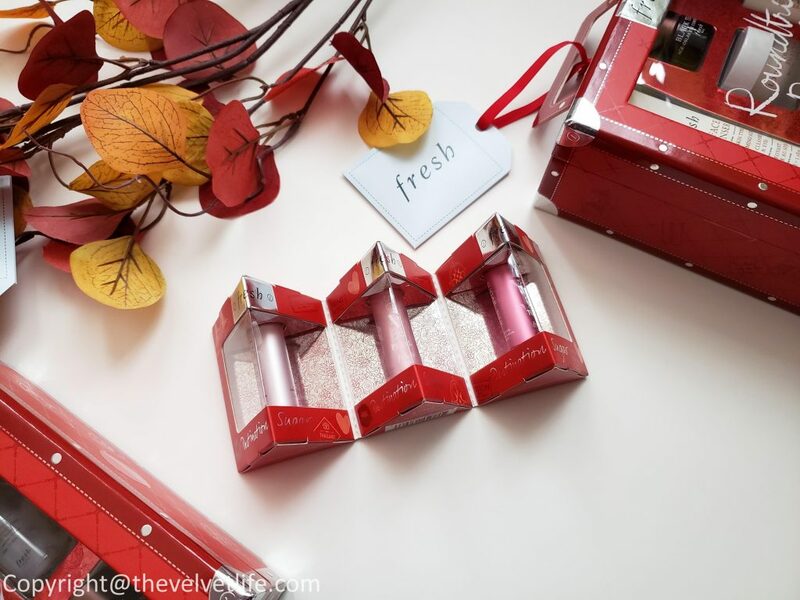 I usually share about skincare products when I feel I am ready, I do not rush when it comes to skincare, because one thing might work for me and same could not work for another skin type. Being in my 30s, I feel more importance of skincare and skincare products that I am using on mine skin. Aging is a natural process, the only thing I can do for myself is to maintain what I have so that it is the better version of what I could have been at any age. 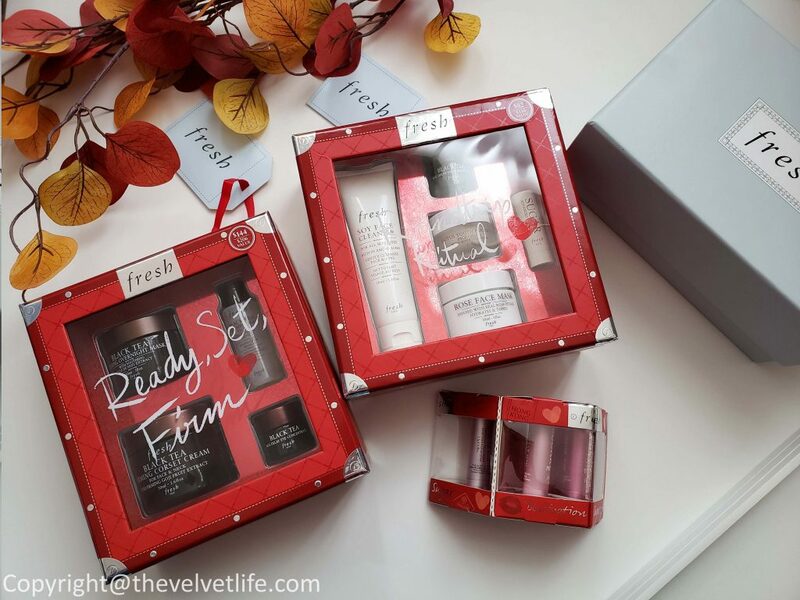 Today, I am sharing few products from Fresh Beauty which I have been enjoying. 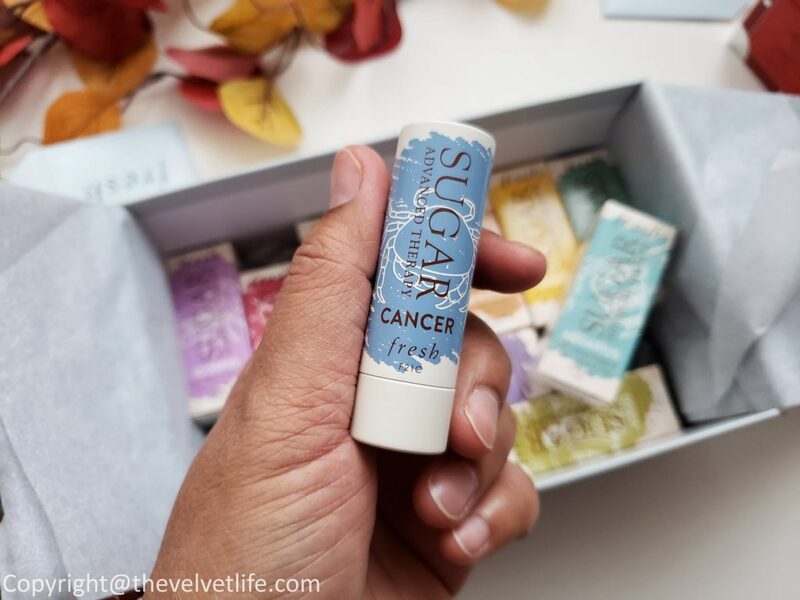 I have used the Fresh Sugar Lip treatments reviewed here and also the Fresh hand creams are my favorite. 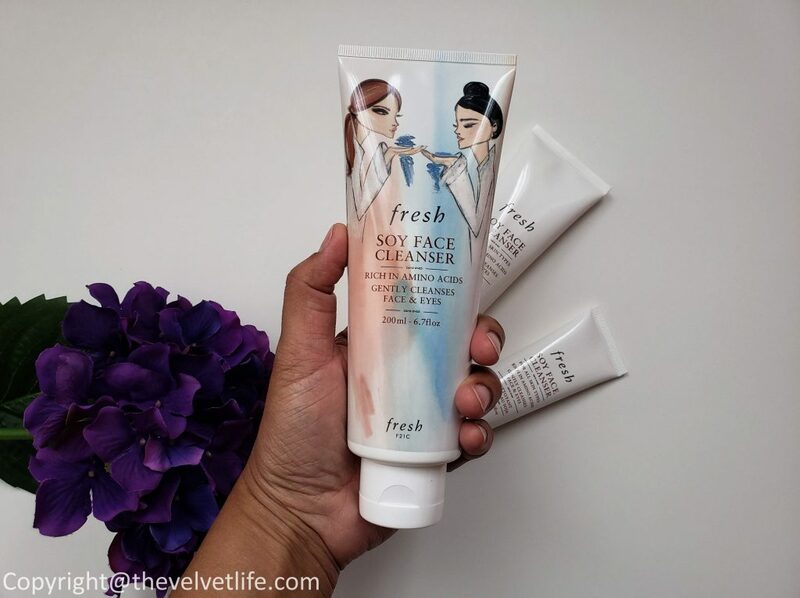 Fresh Soy Face Cleanser is an extra-gentle gel cleanser for all skin types that instantly whisks away everyday impurities and makeup. Soy Face Cleanser for all skin types is an extra-gentle gel cleanser that instantly whisks away everyday impurities and makeup-even mascara-without stripping the skin of essential moisture. The multi-tasking formula also works to tone, soothe, and soften the skin for a radiant, healthy-looking complexion. The key ingredients include Amino Acid rich soy proteins to help maintain elasticity and healthy skin, Rosewater for its calming and balancing properties, Calming cucumber extract aids in soothing the skin, Borage seed oil helps to nourish. The first thing I noticed about this cleanser is how gentle it is and another great thing is it can be used on the gentle eye area. Many of the cleansers out there are either advised to be used anywhere but not around the gentle eye area or some might sting or irritate the eye area. This cleanser has become a skincare staple for me, it is so gentle on my eye area as well as works perfectly to clean the face without stripping it. The cleanser is gel-like, so lightweight, very easy to use and gently washes away with water. I am really impressed, no doubt why this cleanser is sold one every minute around the world. 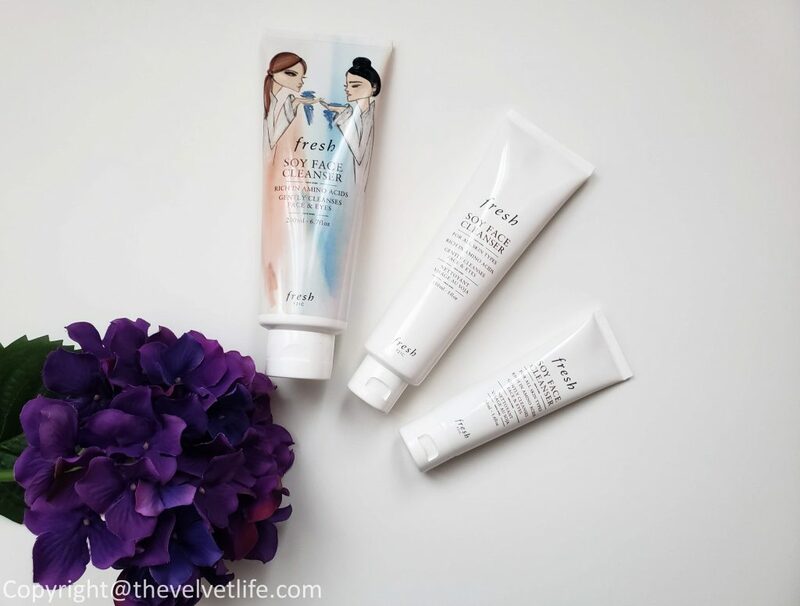 There is a limited edition version which is double the size of the full-sized version, perfect to stock up on your favorite and if you are new to the brand and the cleanser, there is the smallest size version which is good enough to use for few weeks. I am definitely a fan of this cleanser and highly recommend. 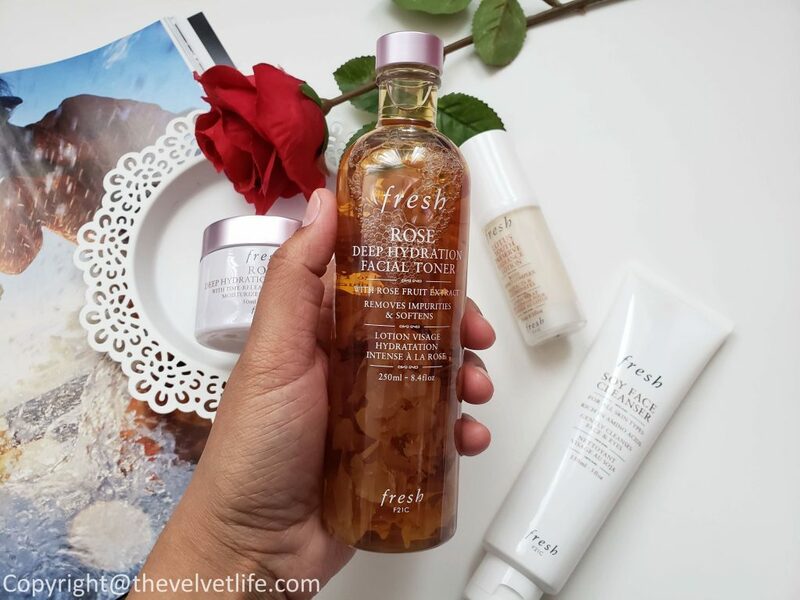 Fresh Rose Deep Hydration Facial Toner is a gentle formula that softens the skin and refines the appearance of pores for a healthy-looking complexion. Rose Deep Hydration Facial Toner softens the skin and refines the appearance of pores for a healthy-looking complexion. Infused with real rose petals, the gentle formula cleanses the skin, helping to clear it of surface debris, pollution particles, and residual impurities, while leaving it feeling refreshed and prepped to receive the full benefits of the skincare ritual to follow. The key ingredients include: Rose fruit extract is known for its toning properties, Rosewater helps to soothe and rose flower oil helps to nourish, Angelica leaf extract is known to help retain moisture, the Hyaluronic acid helps attract and maintain moisture to enhance suppleness. 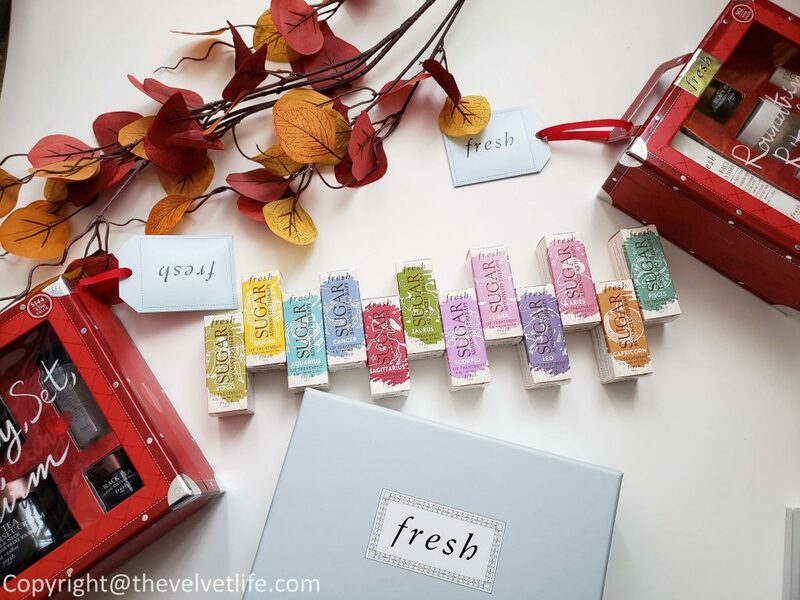 This is such a beautiful product, everything from the packaging, smell, and results are all fresh and healthy skin. The rose petals inside the bottle make it look even more amazing. I have been using this toner after cleansing my face, I prefer using it with a cotton pad and it is so soothing for my skin, makes the skin calm and healthy. It has worked even well on the days my skin is irritated. With Indian background, I have used rose in various ways, like rose water, rose in the desserts, like all the benefits of rose and then having it all inside and outside. 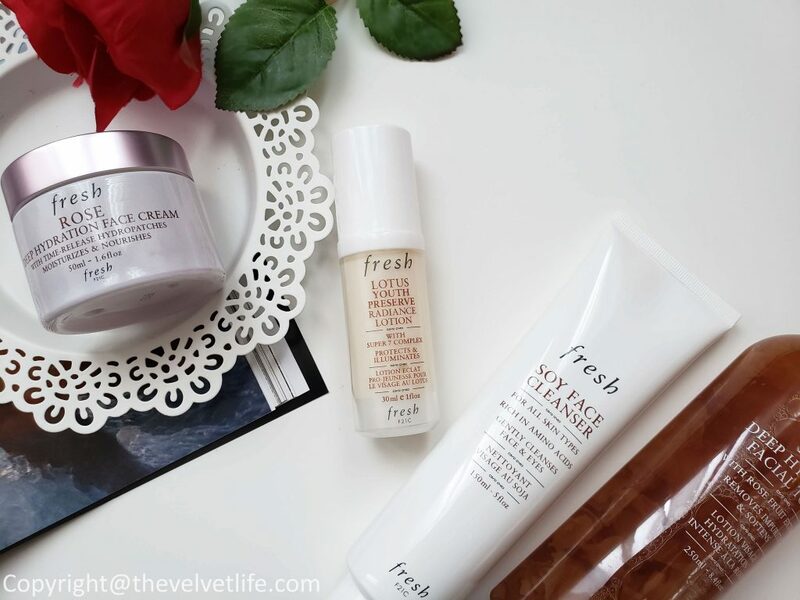 For my combination skin, I first thought the deep hydration will be too much, so I started using it once a day instead of twice. It does not irritate my skin and I experienced no breakouts. My skin feels soft and clear. The smell is heavenly and I notice my pore size looks better. It is a great toner which I am going to use this summer once a day and definitely twice a day during season change and in winters. Fresh Rose Deep Hydration Face Cream is a lightweight formula that uses time-release technology to deliver intense 24-hour moisture. Rose Deep Hydration Face Cream delivers intense 24-hour moisture* for normal to dry skin. The lightweight formula uses time-release technology to encourage ideal hydration levels by attracting and sealing in moisture throughout the day. The key ingredients include: Hydropatches form a protective moisturizing veil to help attract and retain moisture, Angelica leaf extract is known to help retain moisture, An advanced combination of hyaluronic acids helps attract and increase moisture for deep hydration, Rosewater helps to soothe and rose flower oil helps to nourish, Plum seed oil helps to hydrate and maintain a healthy-looking complexion. With some amazing ingredients and composition, this is a beautiful moisturizer for use all around the year. In summers, it is helping my dehydrated skin and in winters, it is going to be a staple for the harsh weather. I am so glad to have explored this skincare line. 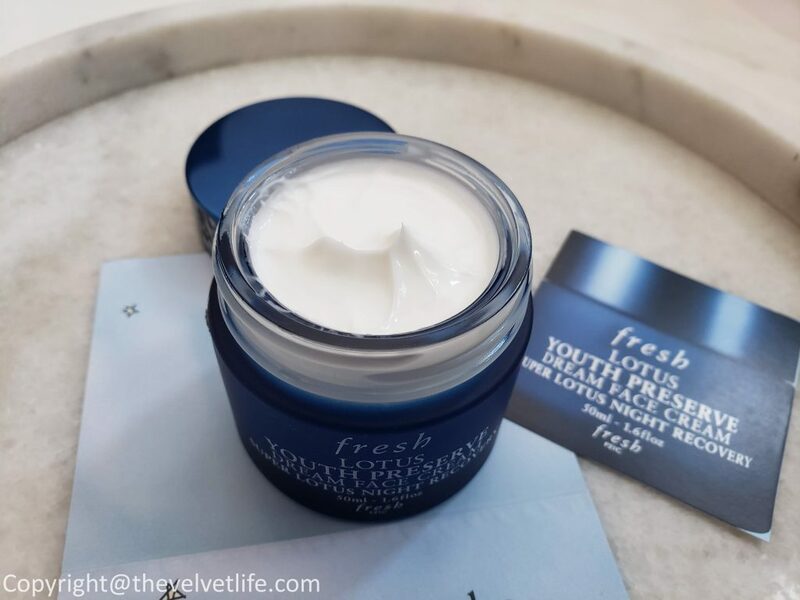 I am really liking this moisturizer, it is rich but not that heavy to cause me breakouts or irritate my combination skin. I use this mostly on the nights when I need more hydration and repair from the daily environmental and external aggressors. 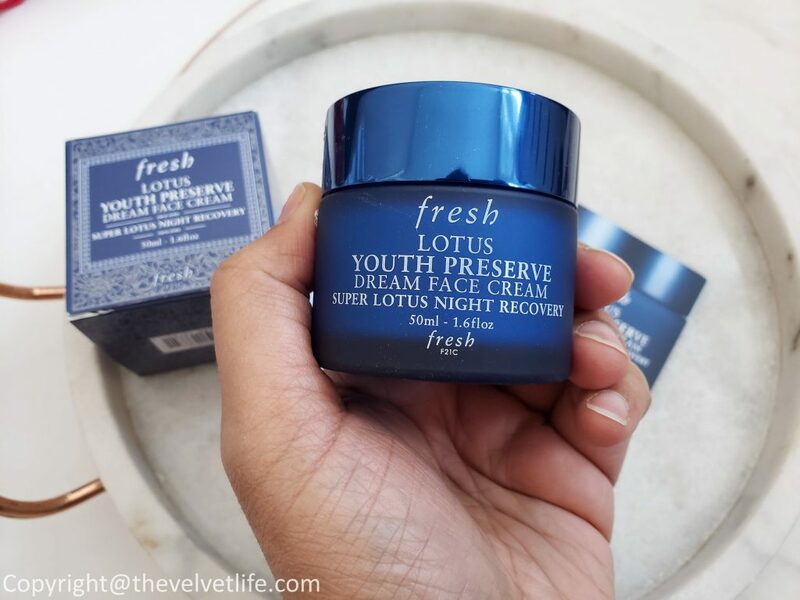 Fresh Lotus Youth Preserve Radiance Lotion is described as a lightweight formula that instantly illuminates the complexion while delivering 24-hour moisture for a radiant, youthful glow. Lotus Youth Preserve Radiance Lotion with Super 7 Complex is a lightweight daily formula that instantly illuminates the complexion while delivering 24-hour moisture for a radiant, youthful glow. 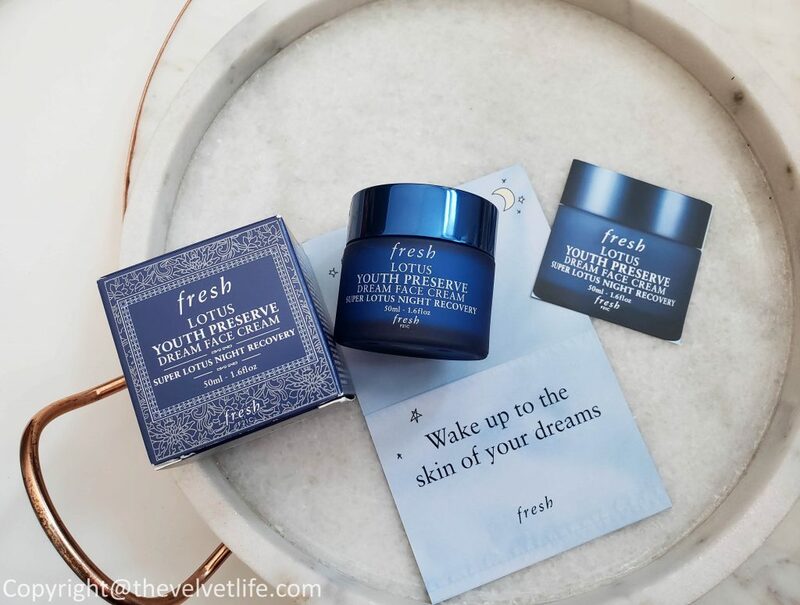 The fast-absorbing lotion is formulated with Fresh’s Super 7 Complex, specifically designed to minimize and prevent visible signs of aging, deliver intense hydration, and boost radiance, as well as star fruit extract, which helps preserve and protect the skin from accelerated signs of aging caused by free radicals. The Super 7 Complex is a hydrating and radiance-boosting blend* of 7 super-charged ingredients that promote a youthful-looking complexion: 1. Lotus flower extract, sourced from Laos, defends against wrinkle-causing free radicals, Blue-green algae helps to visibly minimize early signs of aging, Hibiscus fruit extract boosts hydration, Fig fruit extract helps to preserve ideal moisture levels, Vitamin C is known for its antioxidant and protective properties, Vitamin E helps soften the skin, Vegetable glycerol attracts water and seals in moisture. This is a very lightweight lotion, I use it after cleansing and then follow with my moisturizer. It provides a hydration as well as radiance to the skin. The skin looks supple and smoother. The texture is very lightweight and sinks into the skin right away. It can be used on its own or can be followed by a moisturizer, I really like it in this hot weather as a moisturizer and then just follow with my suncare. It has been a nice base for the makeup too. I had my mom use it for few days and I could totally notice the difference in her 55+ skin. 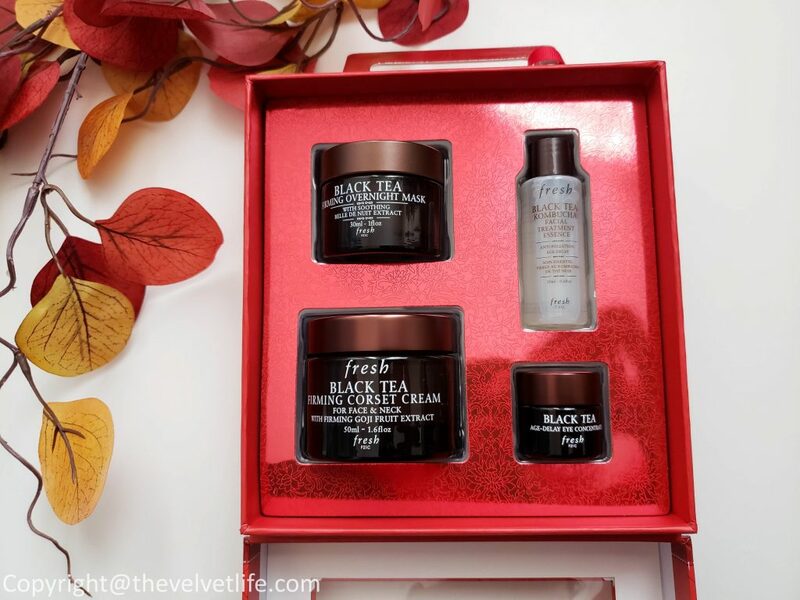 This is definitely a keeper if you are looking for anti-aging, or radiant, youthful skin. Overall, an amazing product range and there is something for all skin types, I highly recommend you to check this skincare line and brand. 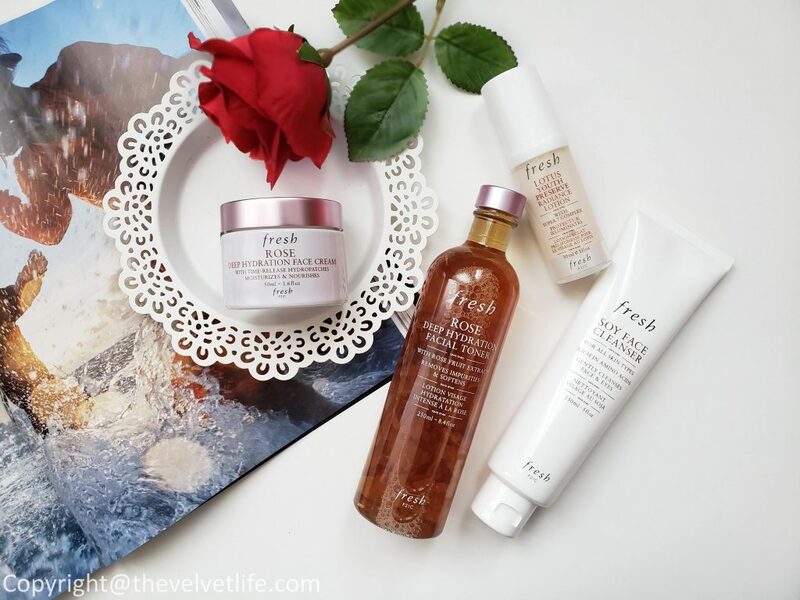 Fresh Soy Face Cleanser, Fresh Rose Deep Hydration Facial Toner, Fresh Rose Deep Hydration Face Cream, Fresh Lotus Youth Preserve Radiance Lotion are available at Sephora.ca, Nordstrom if you are in Canada, Neiman Marcus, Sephora, Fresh.com if you are in the USA.